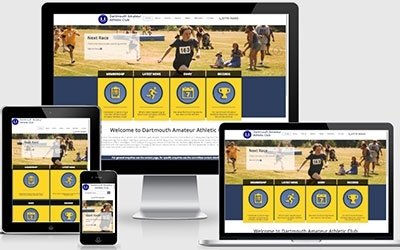 Dartmouth Amateur Athletic Club (DAAC) needed to modernise their old dated website. They wanted a modern application that not only looked the part, but served as an exceptional administrative tool. They also wanted to go down the responsive route and so we duly obliged. The website and accompanying database look after membership applications and renewals, providing the admin with a multitude of useful tools. But most of all, the website has provided an information hub to the club members seeking news of forthcoming events, latest news, club records and more. As they say, "It is hoped that it will increase the online profile of the club, but more importantly, be an asset to all club members. It is your site, please make use of it!"